A group of archaeologists believe King Tut’s tomb may be connected to a hidden chamber that could house the long-sought mummy of Queen Nefertiti. 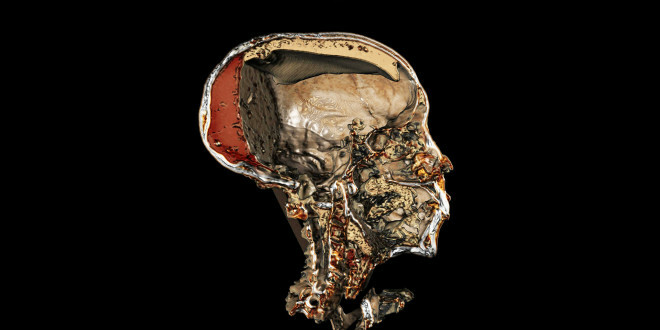 The post Tech Wizardry Solves Mysteries of Egypt’s Royal Mummies appeared first on WIRED. How time flies. Just over a year ago The Pirate Bay was going through some of the most turbulent times in its entire history. Following a raid at a Swedish datacenter the site stayed offline for several weeks, an event that fueled the rise of endless ‘replacement’ sites. While many of the sites stepping up to fill the gap left by The Pirate Bay looked like the real deal, many were simply incomplete copies. To their credit, the operators of some of these sites were upfront about their status but others did everything they could to claim their place as the real Pirate Bay reincarnated. Of course, when the real Pirate Bay returned at the end of January 2015, many of these other sites questioned their place in the market. Were they needed anymore? Were they even wanted? As time pressed on many simply dissolved but others carried on either as a clone, proxy or mirror. While this kind of behavior had previously been encouraged by the operators of The Pirate Bay, it ended up causing huge confusion among casual users who had no idea which domains to trust. As previously highlighted, it contributed to a growing branding crisis among ‘pirate’ sites. However, after returning to its full glory in February 2015, The Pirate Bay put faith in its trusted ThePirateBay.se domain and watched its users do the same. But by May the site was in trouble again when the Stockholm District Court ordered that domain to be seized, pending an appeal. In response TPB moved to a ‘hydra’ of new domains including .GS, .LA, .VG, .AM, .MN and .GD TLDs but during the months that followed problems began to eat away at them. This week came the icing on the cake when the site’s registrar disabled a batch of active domains. While it’s possible that the issues with these domains may be solved at some point in the future, The Pirate Bay needed to do something quickly to keep the show on the road. As a result the site is now mainly using its .SE and .ORG domains. The irony here is that these have worked all along and it was only the fear of losing them that prompted all the domain hopping in the first place. 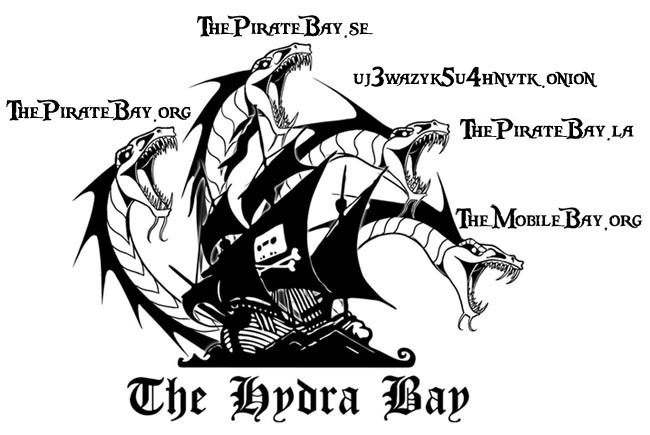 So where is The Pirate Bay today and how does one identify it among all the clones, mirrors and proxies? Verified Pirate Bay domains that can be trusted to link to the real version of the site are shown below. Most domains should already look familiar but for now it seems likely that of the standard domains ThePirateBay.SE will remain most stable and least likely to be taken down on short notice. ThePirateBay.org has had its own problems recently but they appear to be over, at least for now. The TOR/Onion address uj3wazyk5u4hnvtk.onion should also be fine longer term but it’s hardly the most memorable set of digits for anyone to recall. While still operational, ThePirateBay.LA currently seems most vulnerable after being given ‘clienthold‘ status earlier in the week. In addition to those listed above the TPB crew have many other domains held in backup which could be introduced should any key domains experience further issues. Most do not currently link or divert to The Pirate Bay so there’s little point in listing them right now. Overall it’s been a turbulent 12 months for The Pirate Bay and there’s little to suggest that 2016 will be any easier. While hosting has been surprisingly stable in recent times at a bare minimum one should expect more domain issues. But as history as shown us, other surprises could be just around the corner. During December, all self-respecting search engines produce an overview of the most popular search terms of the past year. These lists give insight into recent trends, and in 2015 Lamar Odom, Paris and American Sniper were among the top trending searches on Google. But what about torrent search engines? With billions of searches every year it’s worth taking a look at the most-entered keywords on the dominant file-sharing network. A few years ago we started the ‘Pirate zeitgeist’ tradition with help from one of the largest torrent sites around. Based on a sample of hundreds of millions of searches, this list should give a decent overview of what people are looking for. 2015’s number one query is the same as last year’s, YIFY the name of the popular movie release group which was forced to shut down in October after a legal threat. 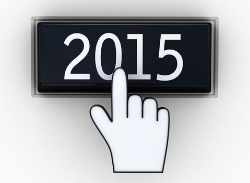 This means that its popularity is expected to fade in the new year. In second place we find NeZu, another popular movie release group that made it into the top 50 for the second year. Interestingly, NeZu’s releases are not wildly popular, which might suggest that this high ranking may have been boosted somehow. The term 2015, often used to find recent movies, comes in third place, followed by Hindi. Other movie related terms such as 1080p, YIFY 720p and YIFY 1080p show that users are increasingly looking for high quality video. The first content related search query is Game of Thrones in seventh place. Other popular TV searches are The Walking Dead and The Big Bang Theory taking 10th and 16th place respectively. Movies also remain popular with Star Wars in 27th, Fifty Shades of Grey in 29th and Interstellar in 32nd place. Perhaps surprisingly, there are no searches related to music titles in the top 50. The only music related terms are Discography in 11th place and Flac in 26th. Finally, various regional searches also remain popular, as they are often used to find localized releases. The terms Hindi, French, Tamil, Telugu, Ita and NL all have a spot in the top 20. Below is the full list of the 50 most-entered search queries on one of the most popular torrent sites on the Internet. 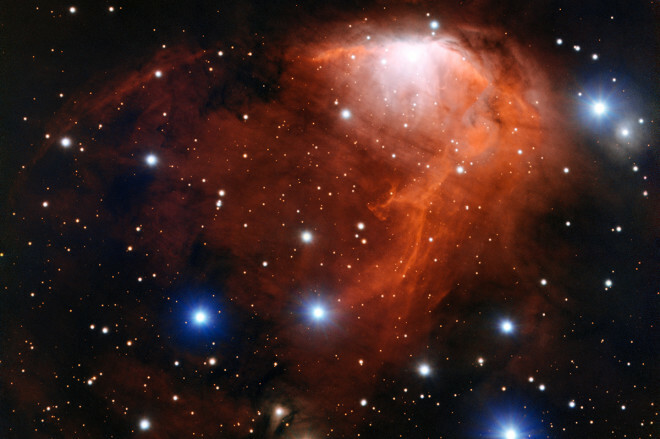 From water on Mars to a little something called Pluto, WIRED presents the best photos of the cosmos for 2015. The post The Most Dazzling Photos From Space This Year appeared first on WIRED. From ‘Mad Max’ to ‘Magic Mike,’ Bing Bong to Badu, these were the songs, scenes, and memes that put big dumb smiles on our faces this year. The post The 25 Most Delightful Pop-Culture Moments of 2015 appeared first on WIRED. New year, new you, new Netflix queue. Here’s what you should be adding to it. The post Here’s the Best Stuff Coming to Netflix in January appeared first on WIRED. The page view is a zombie. For years, everyone has been saying it’s dead. But someone still needs to shoot this zombie in the head. 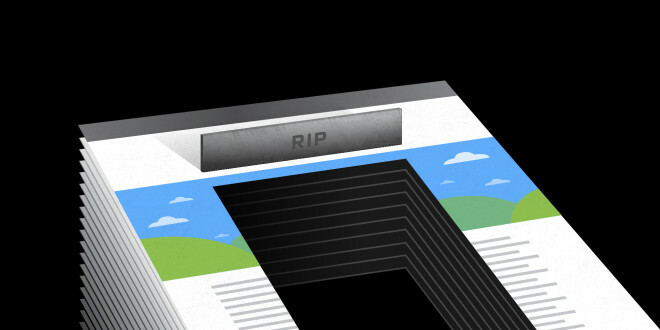 The post Page Views Don’t Matter Anymore—But They Just Won’t Die appeared first on WIRED. Paramount Pictures is generally not that protective when in comes to fan-made projects that involve the Star Trek franchise. However, the well-received short film Star Trek: Prelude to Axanar and the planned follow-up feature film Anaxar has crossed a line. This week both Paramount and CBS Studios sued the makers of the Star Trek inspired fan film, accusing them of copyright infringement. Prelude to Axanar is an idea from Alec Peters who started working on it half a decade ago. After a few years he and his team decided to launch a Kickstarter campaign to get it funded, with an initial goal of $10,000. The project turned in to a massive hit and quickly raised more than $100,000 for the short film, and a similar campaign for a follow-up feature that will soon start filming raised another $638,000 on Kickstarter alone. That’s a healthy budget for a fan-art project and the success prompted the attention of both Paramount Pictures and CBS Studios. In a complaint filed (pdf) at a federal court in California the movie studios accuse the people behind the Anaxar project of various counts of copyright infringement. “This is an action for copyright infringement arising out of Defendants’ unauthorized exploitation of Star Trek, one of the most successful entertainment franchises of all time. Since its inception, Star Trek has become a cultural phenomenon that is eagerly followed by millions of fans throughout the world,” the complaint reads. “The Axanar Works infringe Plaintiffs’ works by using innumerable copyrighted elements of Star Trek, including its settings, characters, species, and themes,” it adds. Through Kickstarter and Indiegogo crowdfunding campaigns the projects raised over a million dollars. In their complaint Paramount Pictures and CBS Studios believe that they are entitled to any profits the films make as well as $150,000 in statutory damages. In a response to the lawsuit, Anaxar’s Alec Peters states that they are not trying to exploit the Star Trek franchise since their work is a harmless fan film project. “Like other current fan films, Axanar entered production based on a very long history and relationship between fandom and studios. We’re not doing anything new here,” he writes on Facebook. Peters remains open to discussion and hopes that the parties involved can come to a mutually beneficial solution, so it’s likely that the lawsuit will eventually steer toward some form of settlement deal. Don’t just party on New Year’s Eve, think about the cool physics that you can see around you. 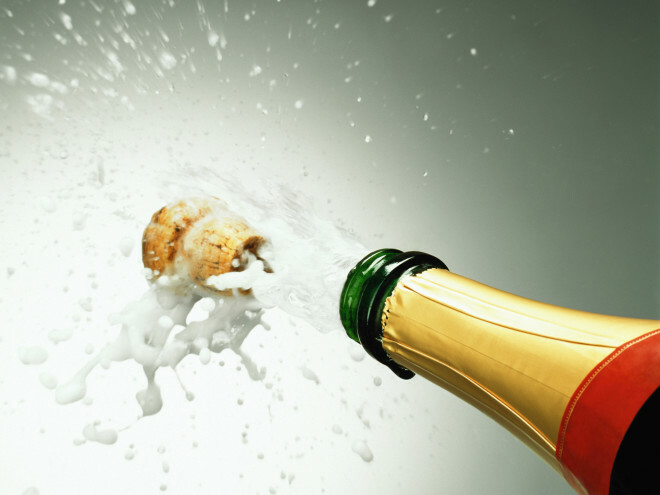 The post The Physics Behind Popping Champagne Bottles appeared first on WIRED. Going to the movies is dumb. All of the best parts are in the trailer anyway. To prove it, we rounded up the best teasers of 2015. Watch them here. The post A Year’s Worth of Epic Movie Trailers appeared first on WIRED.